We are technology leaders in developing innovative solutions for renewing waste and creating circular economies. We are renewing plastic waste, cleaning up the oceans, empowering communities and catalyzing consumer behavior shifts. We offer commercial scale systems optimized for converting low value post-consumer plastic waste into high value petrochemical products. We divert ocean plastic waste with biofences in rivers across the developing world, and renew these into fuels to empower local communities. 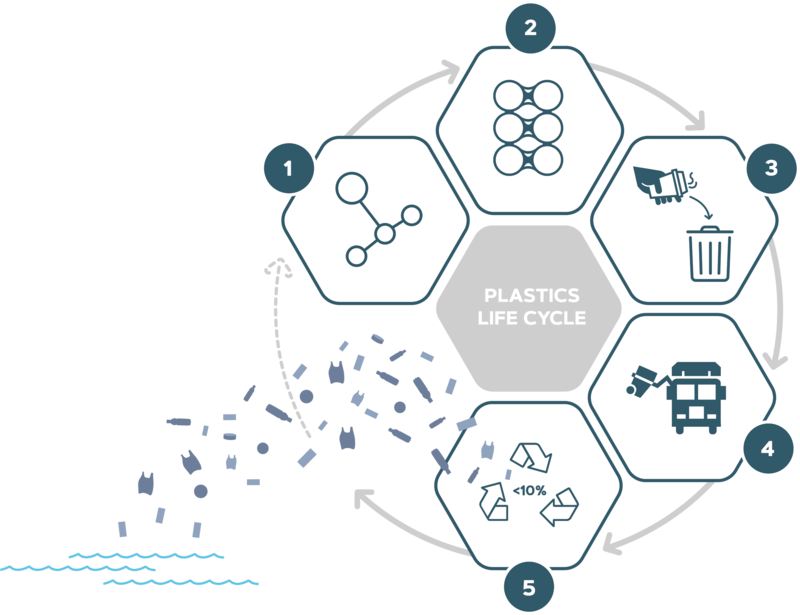 Innovation around new chemical pathways for mixed plastic waste. Waste Zero creates new collection mechanisms for plastic waste. We also provide tips, challenges and resources to help companies and individuals achieve their waste zero goals. 4% of global oil production is used for plastics. 30% of plastics packaging needs fundamental redesign in order to be recyclable. 36% of plastics produced are single use. 50% of people lack quality access to recycling. Less than 10% of plastic waste is recycled globally. 32% of plastics enter the ocean and environment. Renewlogy Labs is focused on developing new plastics that are easier to recycle. Less than 10% of plastic has ever been recycled, and both U.S and global recycling rates continue at this level with little improvement in sight. Meanwhile, plastic production is set to double in the next 10 years.